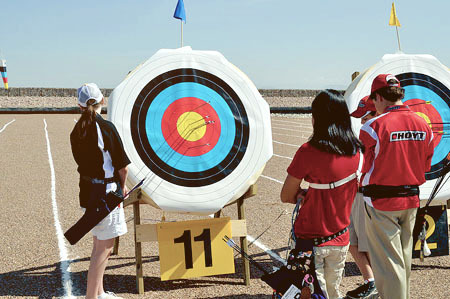 Paseo Vista Archery Club offers an array of instructional courses for students at all levels of Archery skills. Certified archery instructors can provide a wide range of programs and activities tailored to appeal to children, adults and families in a safe and structured environment. The Paseo Vista Archery Clubis a 501(c)(3) Non-Profit Organization and a member of theUnited States Archery Association (USA Archery). USA Archery is the Governing Body of Olympic Style Archery in the United States and is a member of World Archery Federation. 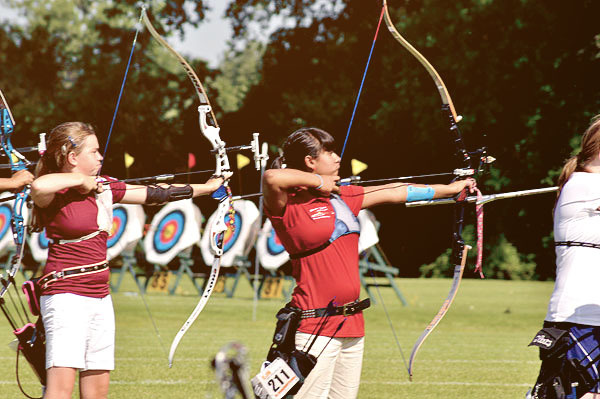 The Paseo Vista Archery Club is made up of archers who are interested in Olympic or International Style Archery. All archers, adult and youth are welcome at the Paseo Vista Archery Club. The Club has partnered with the City of Chandler Parks and Recreation Department to teach Beginning and Intermediate Archery Classes. If you shoot a Compound, Olympic Recurve, or Barebow and have your own equipment, please come out and practice with us. Membership is required to shoot with the club, but membership in the club helps with equipment repairs, replacement of target faces and the upkeep of the Paseo Vista Archery Range. Click on logos for sponsor web sites. The Club is a Target Archery Club and does not have a retail location. We can advise you on the purchase of target archery equipment, but we do not sell equipment to the public.